Do 당신 Think Kohta is funny? who is your 가장 좋아하는 character ? 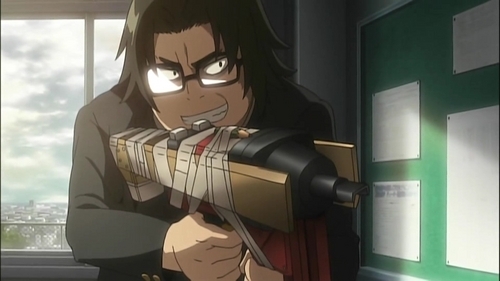 당신 are a _______ that likes Highschool of the Dead. That feel...do 당신 feel it? Here's some news if 당신 don't want to look around for it on yourself! Haha anyways lets continue. Okay now first your all wondering if there is a 초 season coming out.... well we have to see how well the 아니메 and 망가 are doing so they can continue it. If it's good enough the 초 season can come out this 년 in 2011 early. I wrote on the 벽 about the OVA coming out. How do 당신 think the infection spread so quickly? what do 당신 think of the zombies from Highschool of the Dead ?